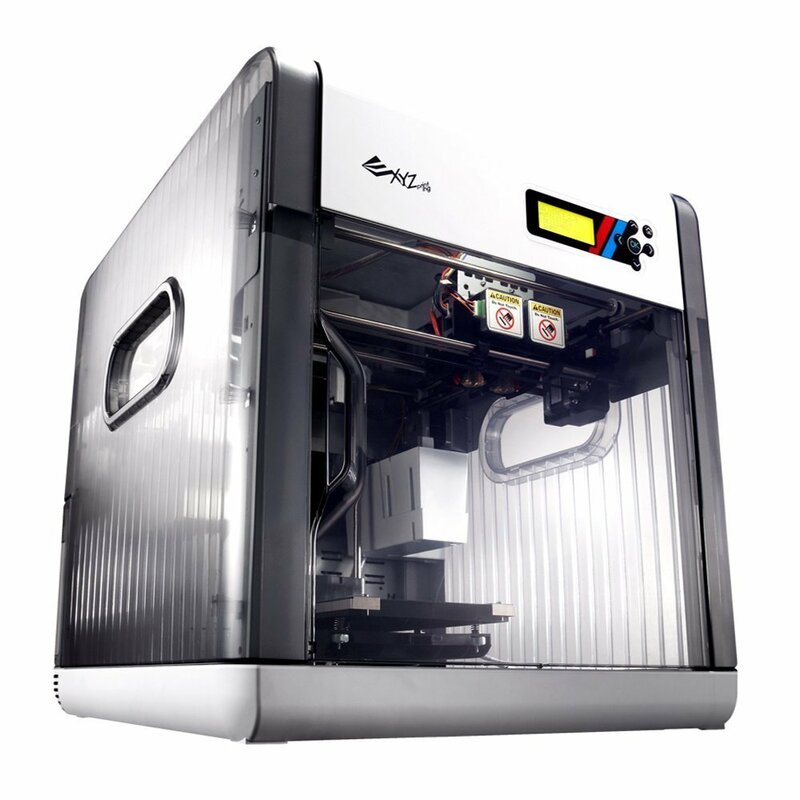 3D Printer XYZ Da Vinci 2.0. The da Vinci 2.0 Duo is a desktop 3D printer whose dual nozzle lets you print two different materials or colors in the same print job. With dual extruders print two different colors in the same print or mix materials. Use our water soluble filament as the support for a detailed print. After printing, simply drop the model in water to wash away the supports for a clean finish.